The Government will pump in Rs.10 billion for the Ministry of Telecommunication and Digital Infrastructure to infuse for 64 projects in its first year of operation. 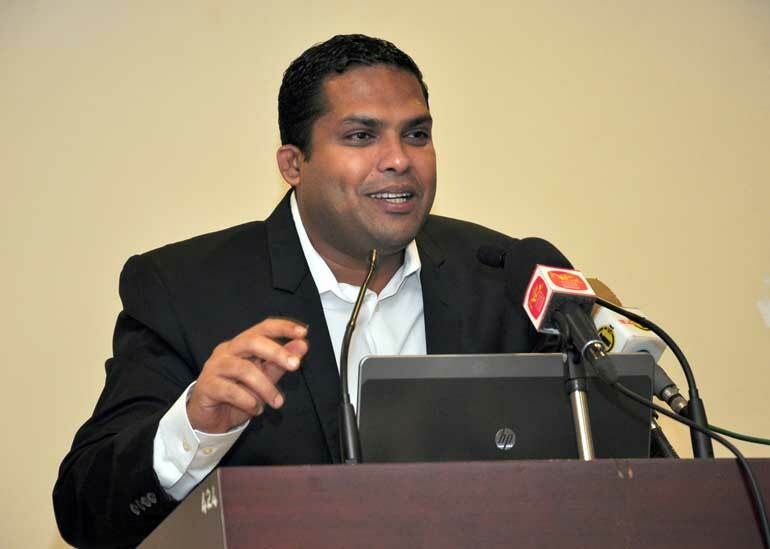 Speaking at a National Chamber of Commerce organised forum Telecommunications and Digital Infrastructure Minister Harin Fernando said that main projects in the pipeline currently are the digital identity card, digital key, islandwide fibre optic connectivity and Google loon. Responding to a query raised by National Chamber of Commerce President Thilak Godamanna, the Minister said that the first digital identity card would be introduced in the latter part of 2016. However, he stressed that the procurement processes consuming a bulk of the time was very wearisome and had in turn hampered many projects from going forward. “Despite being a Minister, even I find it very frustrating when my Ministry tries to get approvals; this is a major deterrent for the business community and unfortunately my Ministry goes through it as well. We are trying to do as many projects as we can and some have been stalled due to the procurement processes. I have brought up this issue with the Premier and hope that it will get sortedsomeday soon,” he added.